KMPlayer is a powerful media player which can cover various types of container formats such as VCD, DVD, AVI, MKV, Ogg Theora, OGM, 3GP, MPEG-1/2/4, WMV, RealMedia, and QuickTime among others. It handles a wide range of subtitles and allows you to capture audio, video, and screenshots in many ways. You can set audio and video effects, slow down or increase playback speed, select parts of a video as favorites, and many more. KMPlayer is completely customizable thanks to a wide selection of skins and color schemes, and the configuration options are extensive. 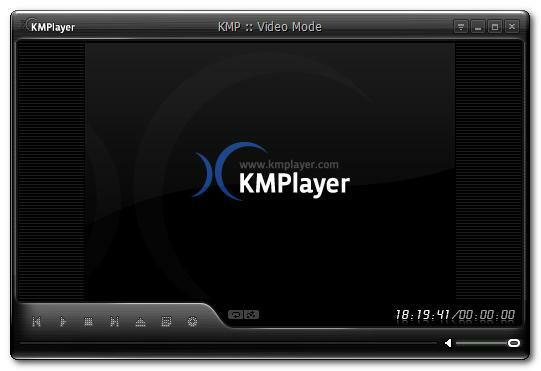 KMPlayer is a flexible, free and practical media player. • Added Web Search Bar. • Supports DIVX(xsub) Subtitle(AVI files only). • Added video codec ProRes(APCH, APCN, APCS, ACPO, AP4H). • Added video codec(IV50, RV40). • Fixed AVI source filter(Supports playing damaged file). • Fixed MKV source filter(Improved performance). • Fixed RM, RMVB file seek error & Supports damaged file play. • Fixed ASF file error. • Fixed URL Play for AVI file. • Fixed display infomation for MP3 bitrate. • Fixed background resize error of SWF play. • Fixed overflow of memory error when external audio file is used. • Fixed access violation when updating.